Cash My Car can arrange free car removal anywhere within the Auckland region. We buy all makes and models of vehicles and our trucks are fully equipped to carry any vehicles including; Utes, Vans and trucks. If your car isn’t completely written off but you don’t want to waste time and money on costly repairs, Cash My Car can quickly take it off your hands and provide you with a great Auckland cash for car deal. If you have a salvage car that would end up costing you more to repair then you would get if you sold it, Cash My Car can save you the hassle and collect it from you for free Auckland wide. Car make, car model, car year etc. Because Cash My Car are car wreckers and the direct buyer of all the vehicles we remove, we are able to offer you the best possible price as soon as you call us regardless of the make, or condition your vehicle is in. “Prompt and professional service. Cash My Car gave me the best price for removing my car and made the whole process easy. 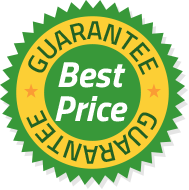 Get the best deal available with our price guarantee!